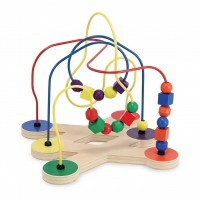 This charming wooden Bead Maze is a popular toy for children aged 12 months to 36 months. 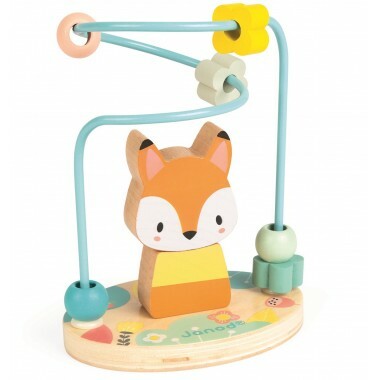 The bead maze features a friendly little fox attached to an illustrated base painted in pastel colours. Little hands will enjoy moving the 6 colourful shapes along the maze. 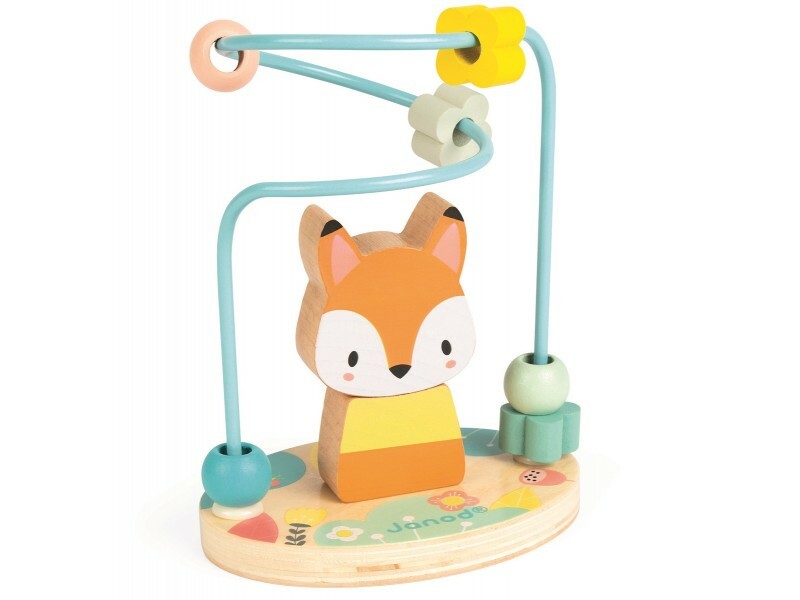 The bead maze encourages shape and colour recognition and helps children to improve hand eye coordination and fine motor skills.